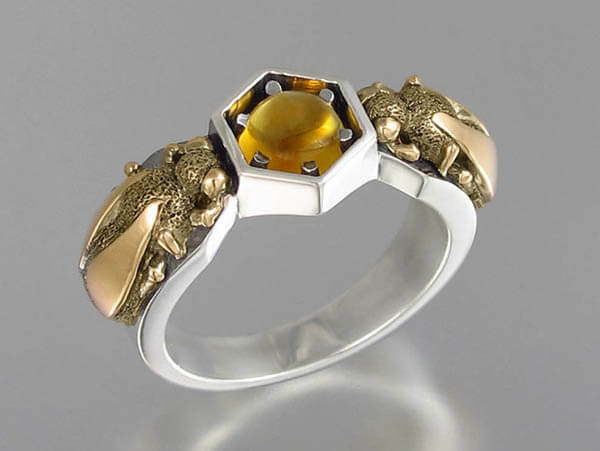 Crafted by designer Sergey Zhiboedov from North Carolina-based studio Winged Lion, below exquisite rings and necklaces feature sterling silver hexagonal patterns that are filled with natural citrine, a glassy yellow quartz that mimics the appearance of honey. Why honey? 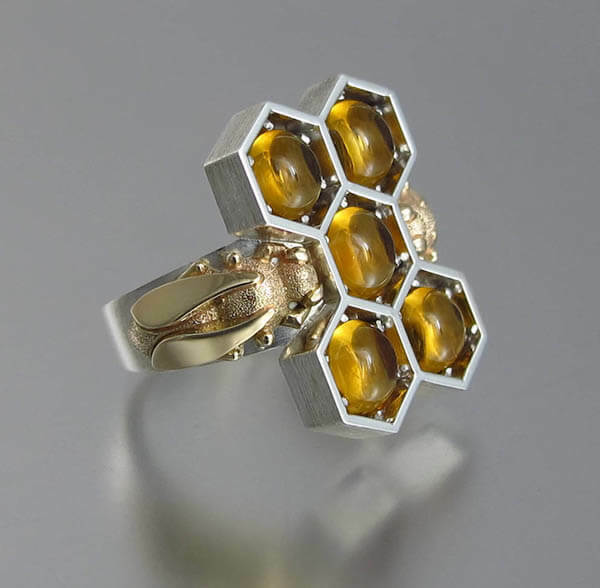 Why Bee? 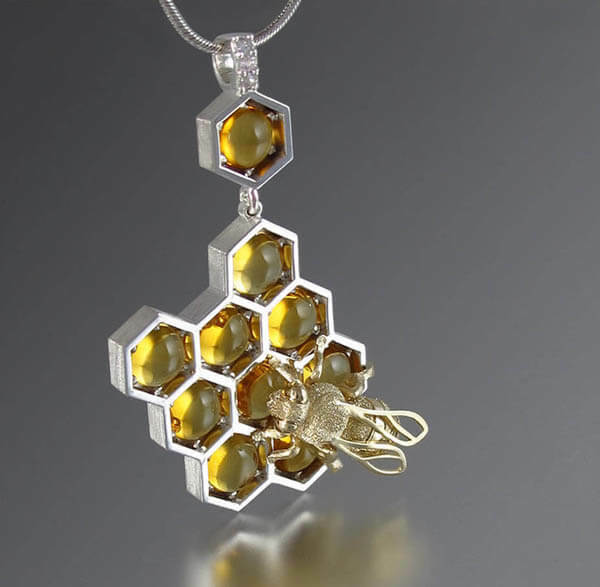 When asked the idea behind the jewellery design, designers said “Bees are a cherished symbol of visual culture. 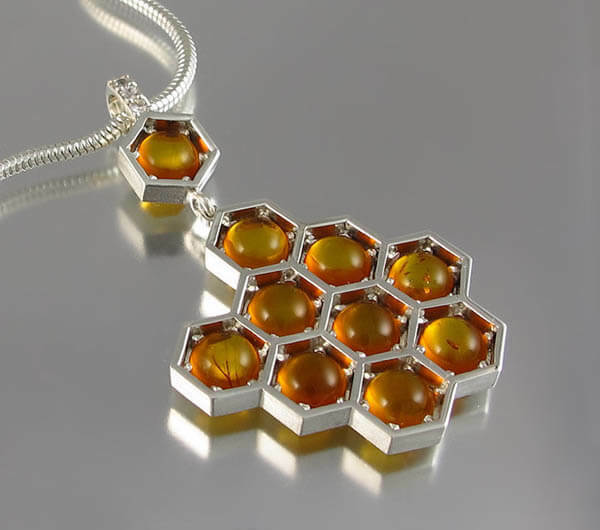 Throughout the centuries, they’ve represented feelings of love, family, diligence, and community. 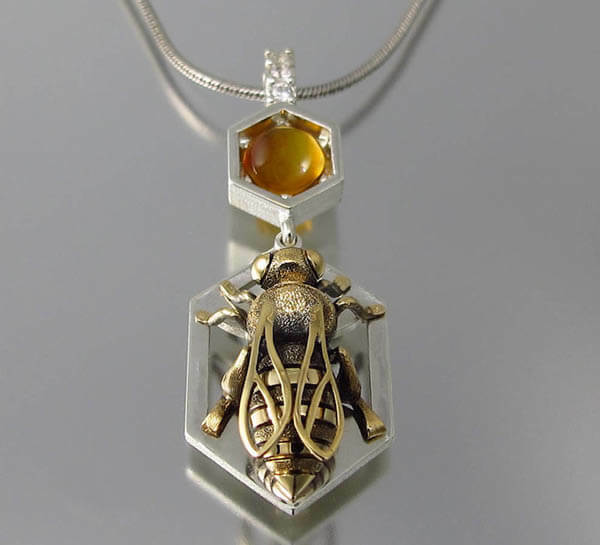 Fascinated by the rich golden color of honey and the small hardworking insects, we decided to design those jewelries to capture their natural beauty.” Like those special sweet jewelries? You can get them from Winged Lion’s etsy shop.